My first attempt at the RM-01 and I'm calling it done for now. I just need to raise the shock mount up so I can fit my 7.2v batteries and then it will be all good for some fun. The body is not perfect but it's good for a first attempt and it's good enough for me. The small imperfections can't be seen when it's whizzing past anyway. I have another 84C body which will get the Wacoal livery and also an original 85C-L body with original Leyton House sticker set for this chassis as well as a set of white wheels. I will add the driver one day but only after I get a hold of the stickers for Satoru Nakajima's helmet. Now to build another one for all of my Porsche 956 bodies. Hello guys, to release me in this section I will introduce you to my mst cmx 1/10 and with the different bodies that I have short battle of tamiya. Mitsubishi Pajero: Can videos be placed in this section? I apologize for my ignorance but I do not want to disturb or that the moderators call my attention. Some old 1/10 touring bodies on Ebay including my 360, http://www.ebay.co.uk/sch/anchordriver/m.html?item=182564218416&hash=item2a81ace630%3Ag%3AgoIAAOSww9xZDzTR&rt=nc&_trksid=p2047675.l2562 Please feel free to PM me any questions and thanks for looking. 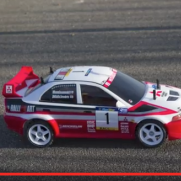 T.
Hi all, I'm just starting out with an RC rally car and really don't like the more modern stuff such as the Evo X or Impreza hatchback. If anyone has one of the following gathering dust with the original decal set applied then please shout. I don't mind a bit of restoration work if needed - but can't work miracles, however! Toyota Celica GT-Four 1990 Toyota Celica GT-Four RC / 93 Mitsubishi Lancer Evo V / VI Subaru Impreza WRC 97 / 99 Subaru Impreza WRC 2001 Citroën Xsara WRC Many thanks for looking. Just found some new R parts - R1 & R2 only, 1 loose from tree. Drop me a PM with offer if interested. 58064, bit ratty! What should I do? Hello, I'm new here although I registered back in 2004 I haven't been playing or posting since then. I have a 1987 Tamiya Toyota Celica (58064) that I was given in bits not working back in about 2000 by a work mate who I 'played' with during lunchtimes mucking about with RC's. He gave up on it and eventually made up a Tamiya RC Mini so the 2 of us would have lunchtime 'play' sessions racing our cars around the bandstand in the local park. It was fun. I'm guessing due to its age the Toyota's plastic chassis was a bit brittle and coupled with my inexperience at navigating it succesfully resulted in it one day clipping the corner of a wall which caused it to roll IIRC and did some damage to the rear suspension. Back then I spent a while trying to bond it all back together using the Greek Goddess of Epoxy Resin's.... "Araldite"! It worked for a while but later other bits started letting go so it eventually got put in a box and has lived under the stairs for the last 11+ years unused. Sound familliar?! I had to clear out the cupboard last weekend and re-aquainted myself with it. Dispointingly it hasn't mended itself on its own! I've looked around for parts for it on the Web but it seems they're scarce so I'm a-pondering what to do. The Technigold Motor + Ascom TX + RX + Servo's all work fine although the 7.2V battery has been lost at some point so being an electronics Tech by trade I've been testing it on a DC Bench Power Supply to prove it all still works OK. It does. So, one train of thought is to transfer the electrics to a new car (which would be the 1st I've ever built/bought from scratch). Any recommendations for a 50 year old beginner?! I've got a few pics of it if anyone wants to see it, OK to post pics here? Ta, Dave. In my never-ending quest for hen's teeth, I was wondering if anyone had some of these.